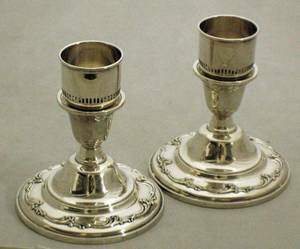 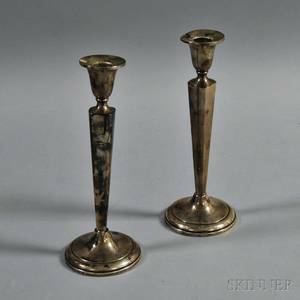 Pair of sterling silver cement reinforced candlesticks of traditional form with candle holder raised on circular base with chased accent border. 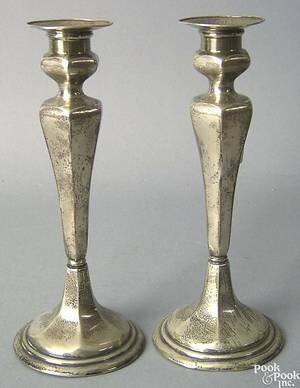 Marked on bottom "STERLING CEMENT REINFORCED WITH STEEL ROD". 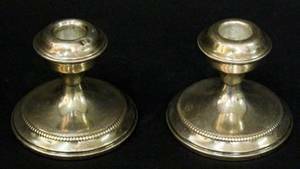 Height 3", diameter of bottom 3.25". 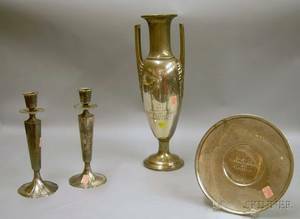 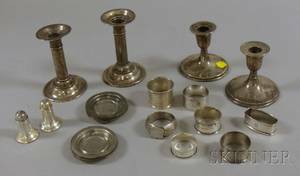 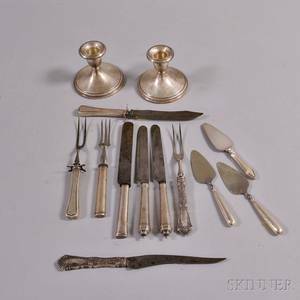 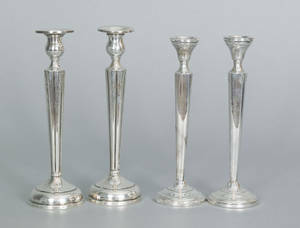 Group of Sterling Silver Carving Sets and a Pair of Sterling Silver Weighted Candlesticks. 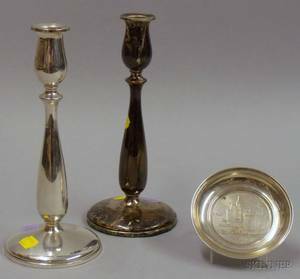 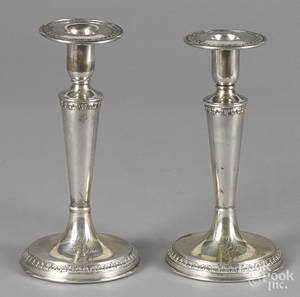 Pair of Sterling Cartier Weighted Candlesticks and Small Tiffany Sterling Plate.